No, really. 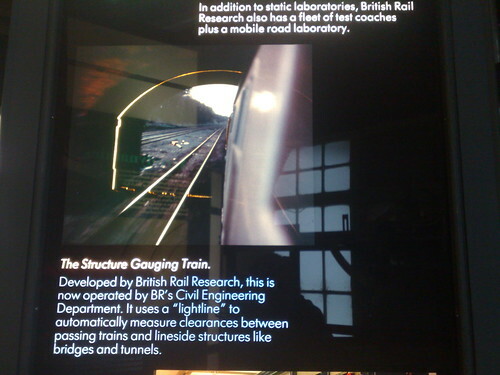 Nipped around the Derby Industrial Museum which contains a fascinating almost entirely backlit exhibition about British Rail Research. 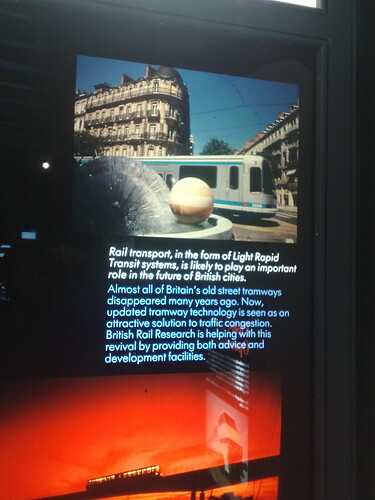 Sadly BR Research didn’t last much after the 1991 creation of this museum, but as you can see from the following photos this place was and is all about the future. 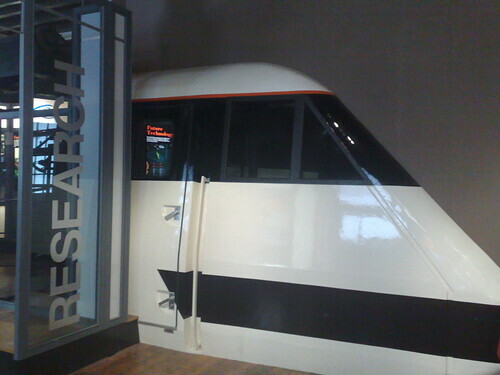 And with talk of 140mph trains, it’s a future we’re still yet to see to be honest. 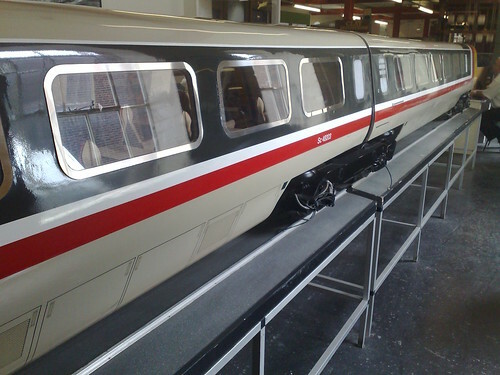 Also on show was a large scale model of the APT – Advanced Passenger Train. This entry was posted in General and tagged 27, me, photo on July 19, 2008 by Alex. The electric National Express East Coast trains are actually Intercity 225s – the 225 refers to the top (design) speed of 140 mph (225 kph). In service they only run at 125 mph because the current signaling system was only upgraded to support the Intercity 125’s and I guess the 225s don’t have any better brakes. 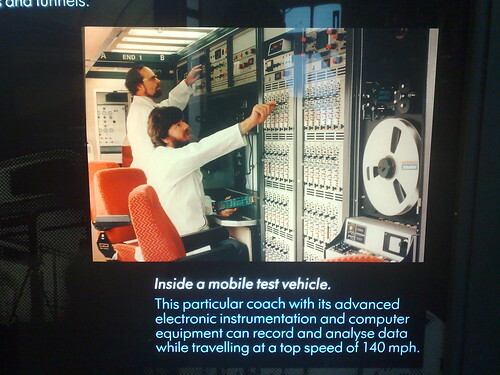 There’s a section of test track in England where the signals were upgraded for a test run and a top speed of 155 mph was achieved. 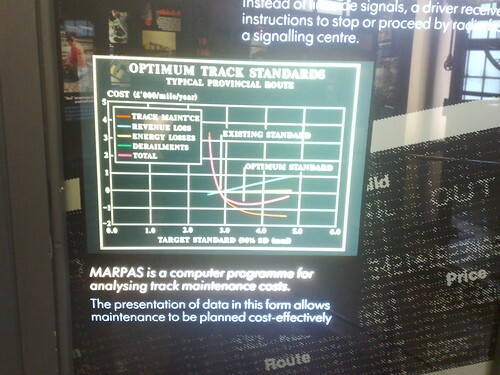 It’s just a shame there’s not more investment put into the rail infrastructure in this country.